Statistics South Africa (Stats SA) use SuperCROSS, Space-Time Research's desktop client for fast, flexible tabulation and analytics, to easily handle, manipulate and analyze their census and survey data, and use SuperWEB2 for easy, online ad-hoc tabulation and dissemination of data. 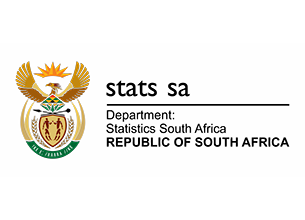 Statistics South Africa is the government agency responsible for South Africa's official statistics. Make the census as accurate and useful as possible. Share as much data as possible with as many people as possible. Provide users with the tools they need to be able to easily access and analyze data. Make Stats SA the preferred supplier of quality statistics. In close collaboration Space-Time Research and Stats SA tackled and overcame various data collection, analysis and dissemination challenges in South Africa. One of the biggest challenges was the actual count—what to count and how to count it. One difficulty Stats SA encountered was that the geographic boundaries were always changing; another was that not all dwellings and households had a unique identifier. As a result, one dwelling counted in one census was not necessarily there the next time the census was taken, making data accuracy a concern. To bridge the gap between censuses, Stats SA undertakes community surveys. Survey data helps them to maintain demographic and socio-economic data at municipal level, and to assist government and private sector in planning, evaluation and monitoring of programs and policies. A survey has many of the same challenges as a census, and it is imperative that the resulting data for both is accurate, especially data at detailed geographical levels. Stats SA use SuperCROSS for fast, flexible tabulation and analytics, to easily handle, manipulate and analyze the census and survey data. Stats SA maintain confidentiality of unit record information by using random rounding and cross tabulation to run queries without identifying an individual record. At one time, Stats SA were having problems with discrepancies in totals caused by different random rounding approaches implemented in different data dissemination products. SuperCROSS was instrumental in overcoming these problems, and is now Stats SA’s preferred product for disseminating lower-level data, for example data about municipalities, magisterial districts, and electoral wards. Since their first census, the demands on Stats SA for census data dissemination have increased exponentially. Stats SA employ two online methods of meeting this demand. One is using SuperCROSS to create cubes, which they disseminate via SuperTABLE™. Cubes provide users with the flexibility to run any query they want based on those cubes. Stats SA also uses SuperWEB™ for web-based ad hoc tabulation, providing both the public and private sectors with more detailed data for their individual analytics. "SuperSTAR allows us the freedom to do almost any cross-tabulations, which means that we are better able to meet the data requirements of our stakeholders."